Holy Land is finally over and there’s only a few more sleeps until Christmas and the New Year and so, rather than launch into another lengthy travelogue, I’ll keep you entertained with a few more musings from my year in Bulgaria, entirely apt since my old friend Mike is over there at the moment doing, well, the same job that I once did. Lucky bugger. Also, apologies for the late arrival this week; I've been having problems with the programme that I use to write my blogs and they aren't resolved fully yet. However, from now on things should at least be arriving on time. And for those interested, here's another story of mine on Cultured Vultures. 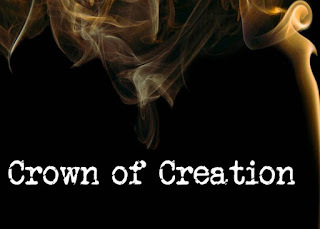 Please read and share 'Crown of Creation', inspired in part by my favourite rock band. And so finally, to kick things off, here’s a short piece on that most important of topics: the philosophy of road repairs. 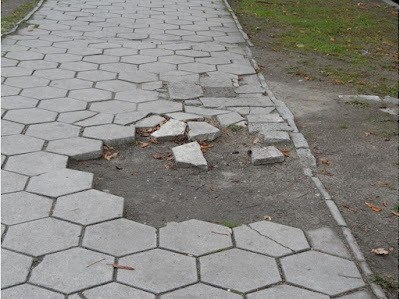 During my first month or two of living in Bulgaria, I was constantly aware of the pavements. Now pavements are not normally something that occupy my mind a great deal. They are generally grey, paved and, erm… that’s about all. I usually walk along them without paying them much attention. But that was the problem you see. Walk along them and ignore them was not something that I could do in Bulgaria, for if I did, I would fall over. Frequently. 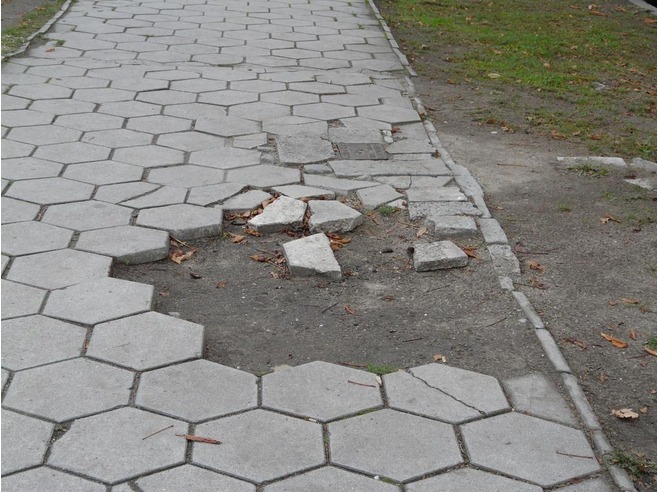 The fact is you see, that Bulgarian pavements are uneven. Very uneven in fact. By and large they are not tarmacked like those in Britain and Japan, but instead constructed out of concrete slabs, about fifty square centimetres in size. And these slabs, being rather light, soon end up not as flat as they perhaps should be. ‘Why the hell don’t they repair the bloody pavements a bit more often!’ I chuntered to myself on more than one occasion. Time spent in the country however, showed to me that in fact, they do. Regularly. Forever are pavements being pulled up and re-laid. Far more so than in England actually. The question remains therefore, as to why are the pavements so bad? The answer is easy to find; it’s the way that they’re laid. Now I’m no expert on pavement laying, but even I know that if you lay some fifty centimetres square paving slabs simply on a bed of sand and then cement the cracks between those slabs, then yes, whilst the cement dries that pavement will look pretty damn good, but six months down the road, cracks and bumps will start to appear, and in a year or two the whole thing will need relaying. It is a short-term solution only. Even a paving ignoramus like me knows that. The Bulgarian paving crews however, it seems do not. 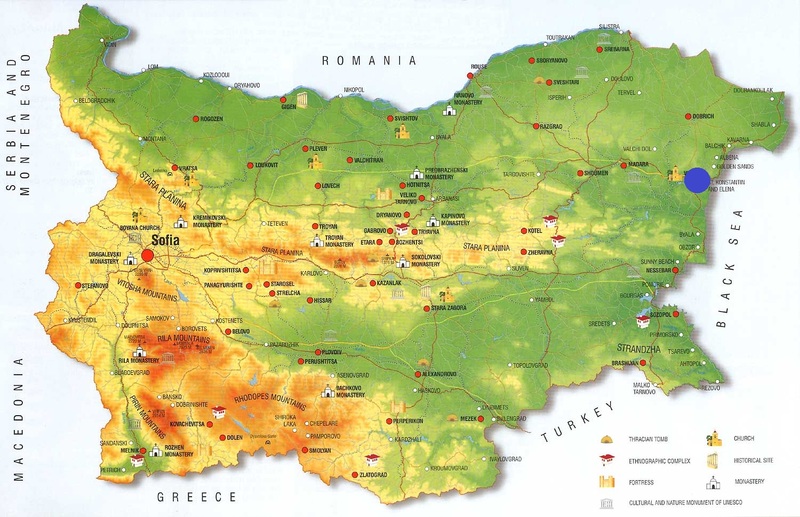 And so of course, I got to wondering as to why the Bulgarians, (who are a highly-educated people), keep adhering to this incredibly bad system. Of course, it is partially to do with economy. Spreading sand is certainly cheaper than laying concrete, but to be honest, I don’t believe that that is it. After all, would it not be cheaper to just lay down tarmac, (as most Third World countries do), rather than paying for fancy paving slabs? No, the answer lay somewhere else. This all got me thinking and then reminded me of an incident that occurred some years back. A Bulgarian friend of mine was getting married to someone whom no one believed she would have a long-term future with. She herself was far from sure too. “Why?” I asked. And thinking about it, she was right. From spending not saving, to laying dodgy pavements that look good for a month or two, spending their last leva on fashionable clothes and coffee to rushing into ill-matched unions, many Bulgarians, (though not all of course), do live primarily for the moment and not the future. And sadly, when the cracks start to appear and the surface starts to get uneven, they then have to start again, right from Square One. Are you American? If so, what I’m talking about are ‘sidewalks’. That means ‘covered with asphalt’ my brethren from across the pond.